Confusion persists regarding whether to file income tax return (ITR) even if taxable income falls below the taxable limit or has no taxes due. 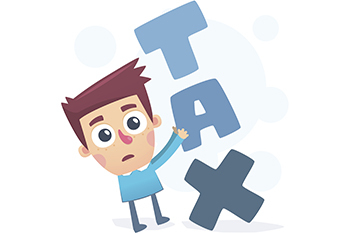 Confusion persists regarding whether to file income tax return (ITR) even if taxable income falls below the taxable limit or has no taxes due. The best way to clear it is to carefully trade-off between the benefits of filing the tax return and the effort involved in doing it. The joy of receiving tax refund equals that of getting a pay cheque. And, you need to file tax returns if you wish to claim a tax refund. Not doing so would lead to forgoing the refund. Banks requires your 2-3 years of income tax returns in order to assess your financial soundness and the ability to repay in case of applying for housing loan or bank loan. Similarly, credit card companies also insist on having proof of income tax returns prior to issuing a card. While applying for Visa in order to immigrate to another country or to explore overseas job opportunities, most of the consulates require your IT returns at the time of visa interview. It is especially applicable for applying visa for developed countries like US, UK, Canada etc. If you are regularly filing your IT returns, then the assessment order can act as a proof of residence for applying for Aadhaar card or Passport.